Sunny is the puppy we planned from Jake von Kanas JJ-N, BH, CD, RN with Mica vom Haus Kohl, granddaughter to our own Strongheart (V Imo Vom Werraufer SCH III, FH) in order to continue our most beloved line of dogs which includes Jake’s brother Max, our Search and Rescue Dog, and Piper and Chinook, as well as Kindra. Sunny has met our high expectations as he, at one year old, sailed through his Rally Novice Titles with a Third Place and two Second Place wins just seconds behind our Cardinal who placed First in those competitions. 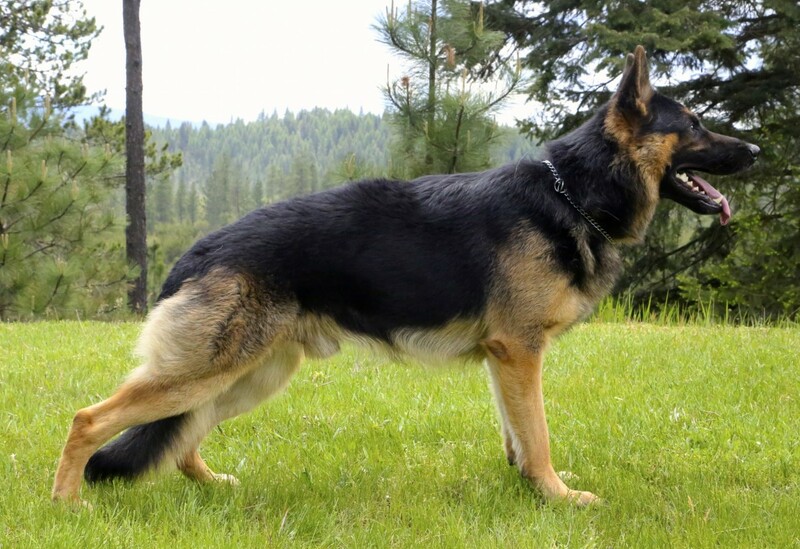 At age two, Sunny earned his Schutzhund BH and soared through his AKC CD and RA titles in just three trials. He is such a joy to train, catching on quickly and willing to perform with excellence. I’m so proud of our boy! 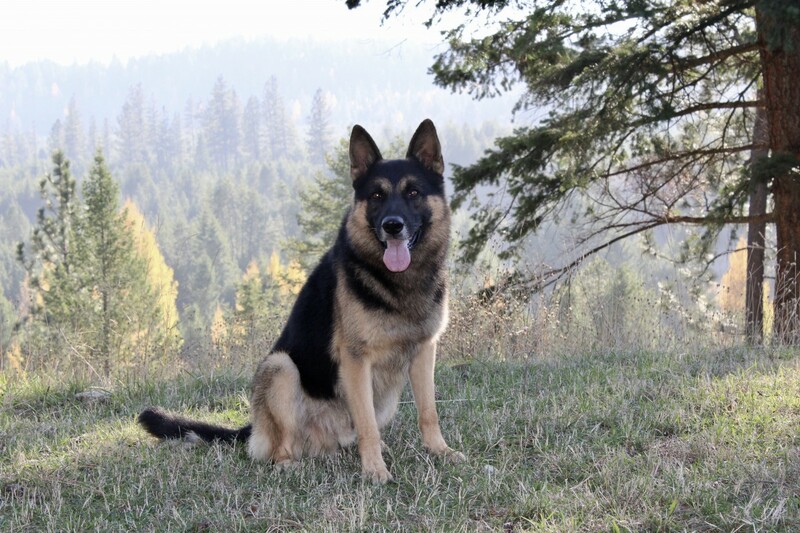 Update: 2015, at age three, Sunny earned his Rally Excellent Title in three trials! Sunny’s hips and elbows have been OFA certified Good and normal and he is DM clear. As a bonus, he carries the long coat gene.